What does it mean to be a coach and how do you know if you have a good one? 1. Honesty. There is so much within this word that a book could be written solely on the art of coaching with honesty. You must be honest with yourself and the coach must be honest with you. 2. Qualified. What are their qualifications and this does not necessarily mean their degrees and diplomas (although this can help with their qualifications). What are their professional experiences? What are their life experiences? Does their experience relate to the areas that you would like to address in your own personal or professional life? 3. Trust. You absolutely must trust the other person and this is tied to #1. You must trust in their honesty, their knowledge, their experience, and the person that they are. 4. Walk The walk. They must be a person that ‘walks the walk’. Coaches can be great speakers but a more important consideration is do their actions match their words. It’s one thing to say something, it’s something entirely different to actually do that something you say. 5. They are a student themselves. This means that they are a life long learner and just because they may be an expert in certain areas they don’t think that they know everything. This keeps people humble and appreciative. 6. Self-Belief. This relates to #4. They believe in themselves and their abilities. They exude confidence and their own self-belief and confidence inspires and motivates you to be better yourself. Self-belief and confidence can be contagious and you want your coach to have these qualities. Would you work with someone who didn’t believe in themselves? 7. Organized. Coaches have to be organized. This is a quality that everyone wants to have and therefore, if you’re working with a coach you’ll want them to be organized. Someone’s level of organization speaks to their professionalism. Organization is an attractive quality and it is essential for #8. 8. Have a plan. Coaches have to have a plan or have a plan from which they work with a person. Coaching is a process; it’s an experience. In order to have the greatest impact you have to have a plan from which you are going to approach working with a client. Having a plan also shows your level of organization and I’ve already discussed how important that quality is. 9. Follow Through. Related to most of the previous points, this means that you must be able to rely on the coach. They follow up with you, they do what they say they were going to do, etc. You want a coach with this quality. 10. Supportive. A coach is there for YOU! Sure you may pay them and you may be apart of their schedule but they are there for you! Make sure that they understand and support the direction you want to go in and help guide and support you to get you there. 11. Goal-Oriented. What are you working towards? You have to set goals and milestones in order to know where, when, how, what, and, of course, you have to know the why of why you’re going in a particular direction. The why should definitely be coming from you. Obviously, in order to be goal-oriented you have to be organized (#7) and have a plan (#8) for how you’re going to get there. 12. Genuine. Or authentic. They possess qualities and characteristics that you admire about them and that you want to incorporate into your own life. They also keep things real and are upfront with their thoughts and feelings when working with you. 13. Relationship Building. You certainly won’t keep your coach if you don’t have a relationship with them. You’re investing in the coach so they should definitely be investing in you by getting to know you and understanding your hopes, aspirations, goals, strengths, and weaknesses. Your coach has to take the time to get to know you, build rapport with you, and understand you. 14. Duration of relationship. What is the length of time that you are going to be working with the coach? Is this going to be something set from the beginning? 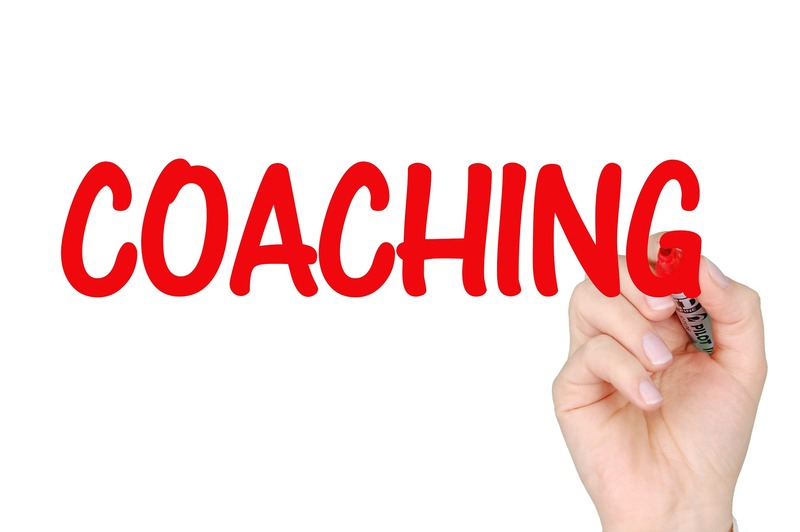 If it’s indefinite (and this ties in to #1 – honesty) and you are paying the coach and the coach relies on your relationship as a source of income, is the coach going to put you, the client, first or their own self interest first because they need your source of income. This is a true testament of a coach that is actually interested in your best interest. If the time comes where your coach-client relationship has outgrown the coaches abilities or strengths, is the coach going to be able to be honest enough to admit this and end the relationship so that you, the client, can move forward and find that next person who is going to be more suited to take you on the next part of your journey (if this is necessary at all). 15. Fostering Independence and self-reliance. All of the qualities I’ve mentioned above are important but I think that this quality is especially important. Your coach, from day one, should be fostering, within you independence and self-reliance. You don’t want your relationship with your coach to create any kind of dependency or unnecessary need. The coach hasn’t been in your life from day 1 and they may not be there forever so why create a dependency. A coach should, from day 1, assist, guide, support, help, etc. but it should all be done in such a way where your personal and/or professional confidence is forever growing as you grow closer toward the person and/or professional that you are working toward becoming. These are some important points for consideration in any kind of leadership, coaching, mentoring, management, (and so forth) role when working with others. We are here to Strive to Optimize our lives, our relationships, and our performance in whatever capacity you want to consider. My goal is to inspire, enlighten, and empower others as to the endless possibilities that exist, the unique qualities they possess, and the power they have to drive their life in the direction they choose.